Legal activities, including correspondence and Judicial Review (JR) were by private citizens, county residents Liz Driver and Edwin Rowse. They are not asking for new laws, regulations or policies – only that the existing ones are enforced to protect the cultural heritage buildings and landscapes in South Marysburgh from industrial wind turbines. PEC Cultural Heritage, including Mount Tabor area – worth protecting. This iconic view on the approach to Milford. From 2012, prior to approval of the wpd White Pines industrial turbines, several letters were submitted to the provincial government, identifying heritage issues and deficiencies in the supporting REA documentation. July 16, 2015, a Renewable Energy Approval (No. 2344-9R6RWR) was granted to wpd White Pines Wind Incorporated. As a result of the filed letters by Driver/Rowse, as well as by the Municipality and others, two of the 29 proposed turbines were not approved (T7 and T11) due to heritage concerns. 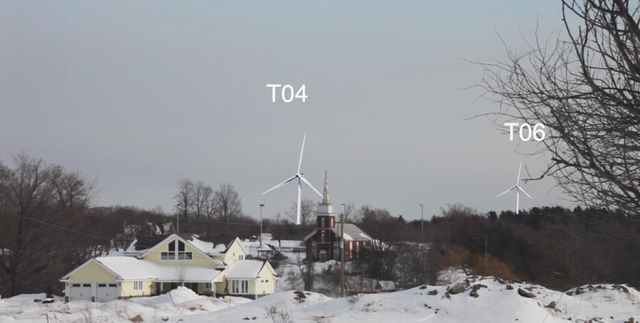 July 31, 2015, the Appellant filed a notice of appeal with the Environmental Review Tribunal (“Tribunal”) pursuant to s. 139 of the Environmental Protection Act (“EPA“) seeking an amendment to the REA to add the two refused wind turbines to increase the total number of wind turbines in the Project to 29. This was withdrawn November 20, 2015. September 2015, a JR Application was submitted. It was later withdrawn, to be resubmitted when the REA and Appeals were completed. April 2016 The JR was re-submitted. May 2016 The JR was modified in order to combine affidavits, and resubmitted. CCSAGE NATURALLY GREEN (“CCSAGE”) is a not-for-profit corporation, under Federal legislation, continuing an informal group founded in 2009. We support and believe in green energy which is both safe and appropriate, and encourages small scale solutions and conservation measures. Click here to learn more & explore our website to see what we are up to. Your donation will help defray costs associated with the Judicial Review. Family memberships are $20 and are very much appreciated. Any surplus of funds that exceed costs for our JR will be passed to the South Shore Appeal Fund for legal costs for the ERT's for Ostrander Point and White Pines. Thanks for your donation!